For other uses, see James Horner (disambiguation). Horner's first major score was in 1979 for The Lady in Red, but he did not establish himself as an eminent film composer until his work on the 1982 film Star Trek II: The Wrath of Khan. His score for James Cameron's Titanic is the best-selling orchestral film soundtrack of all time. He also wrote the score for the highest-grossing film of all time, Cameron's Avatar. Horner collaborated on multiple projects with directors including Don Bluth, James Cameron, Joe Johnston, Walter Hill and Ron Howard; producers including George Lucas, David Kirschner, Jon Landau, Brian Grazer and Steven Spielberg; and songwriters including Will Jennings, Barry Mann and Cynthia Weil. He won two Academy Awards, two Golden Globes, three Satellite Awards, and three Saturn Awards, and was nominated for three British Academy Film Awards. Horner, who was an avid pilot, died at the age of 61 in a single-fatality crash while flying his Short Tucano turboprop aircraft. Horner was born in 1953 in Los Angeles, California, to Jewish immigrants. His father, Harry Horner, was born in Holice, Bohemia, then a part of Austria-Hungary. He immigrated to the United States in 1935 and worked as a set designer and art director. His mother, Joan Ruth (née Frankel), was born into a prominent Canadian family. His brother Christopher is a writer and documentary filmmaker. 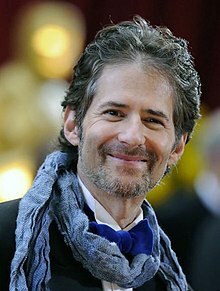 James Horner started playing piano at the age of five. He also played violin. He spent his early years in London, where he attended the Royal College of Music. He returned to America, where he attended Verde Valley School in Sedona, Arizona, and later received his bachelor's degree in music from the University of Southern California. After earning a master's degree, he started work on his doctorate at the University of California, Los Angeles (UCLA), where he studied with Paul Chihara, among others. After several scoring assignments with the American Film Institute in the 1970s, he finished teaching a course in music theory at UCLA, then turned to film scoring. Horner was also an avid pilot, and owned several small airplanes. Horner's first credit as a feature-film composer was for B-movie director and producer Roger Corman's Battle Beyond the Stars. As his work gained notice in Hollywood, Horner was invited to take on larger projects. One of his first major scores was for 1979's The Lady in Red. Horner's big break came in 1982 when he was asked to score Star Trek II: The Wrath of Khan. It established him as an A-list Hollywood composer. Director Nicholas Meyer quipped that Horner was hired because the studio could no longer afford the first Trek movie's composer, Jerry Goldsmith; but that by the time Meyer returned to the franchise with Star Trek VI: The Undiscovered Country, the studio could not afford Horner either. Horner continued writing high-profile film scores in the 1980s, including 48 Hrs. (1982), Krull (1983), Star Trek III: The Search for Spock (1984), Commando (1985), Cocoon (1985), Aliens (1986), *batteries not included (1987), Willow (1988), Glory and Field of Dreams (both 1989). Cocoon was the first of his many collaborations with director Ron Howard. In 1987, Horner's original score for Aliens brought him his first Academy Award nomination. "Somewhere Out There," which he co-composed and co-wrote with Barry Mann and Cynthia Weil for An American Tail, was also nominated that year for Best Original Song. Throughout the 1980s, 1990s and 2000s, Horner wrote orchestral scores for family films (particularly those produced by Steven Spielberg's Amblin Entertainment), with credits for An American Tail (1986); The Land Before Time (1988); The Rocketeer and An American Tail: Fievel Goes West (1991); Once Upon a Forest and We're Back! A Dinosaur's Story (1993); The Pagemaster (1994); Casper, Jumanji and Balto (1995); Mighty Joe Young (1998); and How the Grinch Stole Christmas (2000). Horner scored six films in 1995, including his commercially successful and critically acclaimed works for Braveheart and Apollo 13, both of which received Academy Award nominations. After Titanic, Horner continued to compose for major productions, including The Perfect Storm, A Beautiful Mind, Enemy at the Gates, The Mask of Zorro, The Legend of Zorro, House of Sand and Fog and Bicentennial Man. He also worked on smaller projects such as Iris, Radio and Bobby Jones: Stroke of Genius. He received his eighth and ninth Academy Award nominations for A Beautiful Mind (2001) and House of Sand and Fog (2003), but lost on both occasions to composer Howard Shore. Horner composed the 2006–2011 theme for the CBS Evening News, which was introduced during the debut of anchor Katie Couric on September 5, 2006. He wrote various treatments of the theme, explaining, "One night the show might begin with the Iranians obtaining a nuclear device, and another it might be something about a flower show... The tone needs to match the news." Horner collaborated again with James Cameron on his 2009 film Avatar, which became the highest-grossing film of all time, surpassing Cameron's own Titanic. Horner worked exclusively on Avatar for over two years. He said, "Avatar has been the most difficult film I have worked on, and the biggest job I have undertaken... I work from four in the morning to about ten at night, and that's been my way of life since March.[timeframe?] That's the world I'm in now, and it makes you feel estranged from everything. I'll have to recover from that and get my head out of [it]." Avatar brought Horner his tenth Academy Award nomination, as well as nominations for the Golden Globe Award, British Academy Film Award and Grammy Award, all of which he lost to Michael Giacchino for Up. After Avatar, Horner wrote the score for the 2010 version of The Karate Kid, replacing Atli Örvarsson. In 2011, he scored Cristiada (also known as For Greater Glory), which was released a year later; and Black Gold. In 2012 he scored The Amazing Spider-Man, starring Andrew Garfield. In an interview on his website, Horner revealed why he didn't return to compose the second movie; that he didn't like how the movie resulted in comparison to the first movie, and even called the movie "dreadful." Upon his departure, he was replaced by Hans Zimmer. In early 2015, after a three-year hiatus, Horner wrote the music for the adventure film Wolf Totem, his fourth collaboration with director Jean-Jacques Annaud. In July 2015, a month after his death, it was discovered Horner had also written the score for the 2016 remake of The Magnificent Seven, planning it as a surprise. Horner's scores are also heard in trailers for other films. The climax of Bishop's Countdown, from his score for Aliens, ranks as the 5th most commonly used soundtrack cue in trailers. Horner also wrote the theme music for the Horsemen P-51 Aerobatic Team, and appears in "The Horsemen Cometh", a documentary about the team and the P-51 Mustang fighter plane. The theme is heard at the team's airshow performances. In 2014, Horner wrote Pas de Deux, a double concerto for violin and cello. Commissioned to mark 175th season of the Royal Liverpool Philharmonic Orchestra, the work was premiered on November 12, 2014 by Mari and Håkon Samuelsen, with the orchestra conducted by Vasily Petrenko. Horner also composed Collage, a concerto for four horns, premiered on March 27, 2015 at London's Royal Festival Hall by the London Philharmonic Orchestra conducted by Jaime Martín, with soloists David Pyatt, John Ryan, James Thatcher and Richard Watkins. Horner was criticized for reusing passages from his earlier compositions, and for featuring brief excerpts and reworked themes from classical composers. For example, his scores from Star Trek II: The Wrath of Khan and Star Trek III: The Search for Spock include excerpts from Prokofiev's Alexander Nevsky and Romeo and Juliet; the famous action ostinato from Aliens is originally from Wolfen; the heroic theme from Willow is based on that of Robert Schumann's Rhenish Symphony; Field of Dreams includes cues from the "Saturday Night Waltz" portion of Aaron Copland's soundtrack to Our Town, and the climactic battle scene in Glory includes excerpts from Wagner and Orff. Some critics felt these propensities made Horner's compositions inauthentic or unoriginal. In a 1997 issue of Film Score Monthly, an editorial review of Titanic said Horner was "skilled in the adaptation of existing music into films with just enough variation to avoid legal troubles". Horner was killed on June 22, 2015 when his Short Tucano turboprop aircraft, registration number N206PZ, crashed into the Los Padres National Forest near Ventucopa, California. Horner was the only occupant of the aircraft when it took off after fueling at Camarillo Airport. Three days later, on June 25, the Ventura County Medical Examiner's Office ruled the crash an accident. He is survived by his wife, Sara Elizabeth Horner (née Nelson), and two daughters. Contemporaries and collaborators around the world paid their respects to Horner, including composers Hans Zimmer, Paul Williams and Alan Menken, and directors Ron Howard and James Cameron. Horner was reported to have been committed to the Avatar franchise; Cameron said he and Horner "were looking forward to our next gig." Horner's assistant, Sylvia Patrycja, wrote on her Facebook page, "We have lost an amazing person with a huge heart and unbelievable talent [who] died doing what he loved." Many celebrities, including Russell Crowe, Diane Warren and Celine Dion, also gave their condolences. Dion, who sang "My Heart Will Go On", one of Horner's most popular compositions and considered Dion's signature song, wrote on her website that she and husband René Angélil were "shaken by the tragic death" of their friend and "will always remember his kindness and great talent that changed [her] career." Leona Lewis, who recorded Horner's "I See You" for Avatar, said working with him "was one of the biggest moments of my life." Post-accident investigation by the National Transportation Safety Board (NTSB) revealed that the leading cause of the accident was Horner's inability to maintain clearance from terrain during low-level airwork. During the flight, Horner contacted the Southern California Air Route Traffic Control Center, from whom he received advisories while flying over the Chumash Wilderness area. The NTSB interviewed two witnesses of the flight, who were in their homes when Horner flew over them; one said that the plane was flying at between 500 and 750 feet (150 and 230 m). FAA radar data showed that the plane had made multiple low-altitude turns and performed rapid altitude change maneuvers, flying low through Quatal Canyon and skimming mountain ridgelines by less than 100 feet (30 m). In addition to Horner's failing to maintain clearance, the NTSB determined there were other key factors that led to the accident. Foremost among these was Horner's use of prescription medications for pain relief and headaches. Toxicology testing found butalbital, codeine, and ethanol in Horner's body (although the ethanol may have been produced by microbial activity after his death). Horner won two Academy Awards, for Best Original Dramatic Score (Titanic) and Best Original Song ("My Heart Will Go On") in 1998, and was nominated for an additional eight Oscars. He also won two Golden Globe Awards, three Satellite Awards, three Saturn Awards, and was nominated for three British Academy Film Awards. In October 2013, Horner received the Max Steiner Award at the Hollywood in Vienna Gala, an award given for extraordinary achievement in the field of film music. In 2005, the American Film Institute unveiled their list of the top twenty-five American film scores. Five of Horner's scores were among 250 nominees, making him the most nominated composer to not make the top twenty-five. Universal Pictures also wrote "Where Are You, Christmas?" with Mariah Carey and Will Jennings for Faith Hill; based on a book by Dr. Seuss. 2015 Album "Pas de deux (Horner)" released in May 2015. ^ Geier, Thom (June 22, 2015). "James Horner, Oscar-Winning Composer of 'Titanic,' Dead at 61". The Wrap. Retrieved June 22, 2015. ^ "Creative Team". Titanic Live. Retrieved June 22, 2015. ^ Harrington, Richard (July 25, 1982). "Sounds Of the Summer Screen". The Washington Post. p. L1. ^ "USATODAY.com - New mom Dion back with new album, Vegas deal". USA Today. Retrieved June 23, 2015. ^ a b c Clemmensen, Christian (April 16, 2012) [November 18, 1997]. "Titanic (James Horner)". Filmtracks.com. Retrieved May 21, 2012. ^ "All Time Worldwide Box Office Grosses". boxofficemojo.com. Retrieved June 23, 2015. ^ Roberts, Sam (June 23, 2015). "James Horner, Film Composer, Dies at 61; His Score for 'Titanic' Was a Hit, Too". The New York Times. Retrieved July 4, 2015. ^ "Jewish Titanic composer Horner dies in plane crash", The Times of Israel, June 24, 2015. ^ "James Horner", Jewish Virtual Library, retrieved September 10, 2015. ^ a b Clemmensen, Christian. "James Horner (1953–)". Filmtracks.com. Retrieved May 21, 2012. ^ a b Bloom, Nate. "The Jews Who Wrote Christmas Songs (2010)". InterfaithFamily.com. Archived from the original on November 9, 2011. Retrieved June 29, 2015. ^ Oliver, Myrna (December 9, 1994). "Harry Horner; Designer Won 2 Oscars, Accolades in Theater". Los Angeles Times. Retrieved June 23, 2015. ^ Salter, Susan (2003). Contemporary Musicians. ^ a b Kauh, Elaine (December 2014). "Nat Geo To Release Aviation Documentary". avweb.com. Aviation Publishing Group. Retrieved April 11, 2015. ^ a b "Pilot dies in plane registered to James Horner, Titanic composer". CBC. Associated Press. June 22, 2015. Retrieved June 22, 2015. ^ Shurley, Neil. "Battle Beyond the Stars / Humanoids from the Deep (Original Soundtracks from the Roger Corman Classics)". AllMusic. Retrieved June 22, 2015. ^ "Battle Beyond the Stars". Filmtracks.com. Retrieved June 22, 2015. ^ "Josh Reviews the Newly-Released Complete Soundtrack for Star Trek VI: The Undiscovered Country". MotionPicturesComics.com. May 23, 2012. Retrieved June 22, 2015. ^ "James Horner: Ten Best Movie Soundtracks". Classic FM. Retrieved June 22, 2015. ^ Cater, Evan. "Aliens [Original Motion Picture Soundtrack]". AllMusic. Retrieved June 22, 2015. ^ a b "James Horner's Most Memorable Scores: From 'Titanic' to 'Avatar'". The Hollywood Reporter. June 22, 2015. Retrieved June 22, 2015. ^ "70th Academy Awards - Academy Awards® Database - AMPAS". oscars.org. Archived from the original on October 29, 2013. Retrieved June 23, 2015. ^ Eger, Marcus (May 26, 2011). "Cinematic Melodies – 'The Ascension' by James Horner – featured in the trailer for "Super 8"". The Florida Times-Union. Retrieved June 22, 2015. ^ "CBS to Change Theme Along with Anchor". NPR. August 4, 2006. Retrieved June 22, 2015. ^ Brooks Barnes, "CBS, Katie Couric Have Already Made Sweet Music Together", Wall Street Journal, September 5, 2006, p. A1. ^ "Times Online". The Times. Retrieved June 23, 2015. (Registration required (help)). ^ Clemmensen, Christian (August 2, 2011) [January 25, 2010]. "Up: (Michael Giacchino)". Filmtracks.com. Retrieved May 25, 2012. ^ "Conversation With James Horner". James Horner Film Music. Retrieved March 30, 2014. ^ Broxton, Jonathan (March 11, 2015). "WOLF TOTEM – James Horner". Movie Music UK. Retrieved June 22, 2015. ^ Pedersen, Erik (June 22, 2015). "Plane Registered To 'Titanic' Composer James Horner Crashes; Pilot Killed: Reports". Deadline Hollywood. Retrieved June 22, 2015. ^ "'Southpaw' Director Says James Horner Scored Boxing Drama for Free". thewrap.com. Retrieved September 15, 2015. ^ Hall, Peter (July 20, 2015). "James Horner Secretly Wrote The Magnificent Seven Score Before His Death". Movies.com. Retrieved July 20, 2015. ^ "Top 100 Frequently Used Cues". soundtrack.net. Retrieved December 19, 2007. ^ Alan Rogers, "My Favourite Scenes–1938" in Reel Music, November 4, 2011..
^ James Southall, "Wolfen" in Movie Wave, December 11, 2016..
^ "Glory", in The score from "Prometheus" borrows from "Glory." Filmtracks: Modern Soundtrack Reviews (1998, 2006). ^ Alex Ross, "Oscar Scores" Archived December 17, 2008, at the Wayback Machine, in The New Yorker, March 9, 1998. ^ Lukas Kendall & Jeff Bond, "Letters about James Horner's Titanic,"
^ Hamilton, Matt (June 22, 2015). "Plane owned by Oscar-winning composer James Horner crashes; 1 dead". Los Angeles Times. Retrieved July 2, 2015. ^ "James Horner killed in plane crash - CNN.com". CNN. June 23, 2015. Retrieved June 23, 2015. ^ Dalton, Andrew; Cohen, Sandy (June 24, 2015). "Composer James Horner dies in plane crash; won Oscar for Titanic score". Contra Costa Times. Associated Press. Retrieved June 24, 2015. ^ "Coroner confirms James Horner's death, rules it accidental". www.msn.com. Retrieved October 19, 2018. ^ Burlingame, Jon (June 24, 2015). "James Horner: An Appreciation". The Film Music Society. Retrieved June 24, 2015. ^ Chestang, Raphael (June 24, 2015). "How James Horner Created the Unforgettable Titanic Theme Song, 'My Heart Will Go On'". ET Online. Retrieved June 24, 2015. ^ Barnes, Mike (June 22, 2015). "James Horner, Film Composer for Titanic and Braveheart, Dies in Plane Crash". The Hollywood Reporter. Retrieved June 22, 2015. ^ Johnson, Zach (June 23, 2015). "James Horner Dies in a Plane Crash: Russell Crowe, Céline Dion, Ron Howard and More Send Their Condolences". E!. Retrieved June 24, 2015. ^ Caramanica, Jon (September 17, 2008). "Emotions With Exclamation Points". The New York Times. ISSN 0362-4331. Retrieved June 26, 2015. Carpenter, Cassie (November 8, 2013). "Why Celine Dion does NOT want signature song "My Heart Will Go On" played at her funeral". Daily Mail. Retrieved June 26, 2015. ^ Dion, Celine (June 23, 2015). "James Horner". CeleneDion.com. Archived from the original on June 25, 2015. Retrieved June 24, 2015. ^ "Leona Lewis on Twitter". Twitter. ^ a b "NTSB Identification: WPR15FA195". National Transportation Safety Board. Retrieved May 20, 2016. ^ a b "NTSB Identification: WPR15FA195 Full Narrative". National Transportation Safety Board. Retrieved November 14, 2017. ^ Finn, Natalie (June 22, 2015). "Titanic Composer James Horner Missing After Plane Registered to Oscar Winner Crashes, Killing the Pilot". E!. Retrieved June 22, 2015. ^ Burlingame, Jon (June 22, 2015). "James Horner, 'Titanic' Composer, Dies in Plane Crash". Variety. Retrieved June 22, 2015. ^ "AFI's 100 Years Of Film Scores" (PDF). American Film Institute. 2005. Retrieved May 24, 2012. ^ "P.K. and the Kid (1987)". Films de France. Archived from the original on September 24, 2015. Retrieved June 22, 2015. ^ "James Horner to Score 'Black Gold' - Film Music Reporter". filmmusicreporter.com. Retrieved June 23, 2015. ^ "One Day in Auschwitz". KWS Films. Retrieved June 22, 2015. ^ Thurber, Matt (April 10, 2015). "Living in the Age of Airplanes". Aviation International News. Retrieved April 15, 2015. ^ "Living in the Age of Airplanes". airplanesmovie.com. Retrieved June 23, 2015. ^ a b c d e f g h i j k l "James Horner". Star Trek Soundtracks. Retrieved June 22, 2015. ^ ""CBS Evening News" 2006 – 2011 Theme". Network News Music. Retrieved June 22, 2015. ^ Mackie, Drew (June 22, 2015). "Titanic Composer James Horner Missing, Feared Dead After Plane Crash". People. Retrieved June 22, 2015. ^ "Honey, I Shrunk the Kids". Filmtracks.com. Retrieved June 22, 2015. ^ "Tummy Trouble". Library of Congress. Retrieved June 22, 2015. ^ Tucker, Tara (December 13, 2013). "First In Flight Trailer". All Things Aero. Retrieved June 22, 2015. Wikimedia Commons has media related to James Horner.